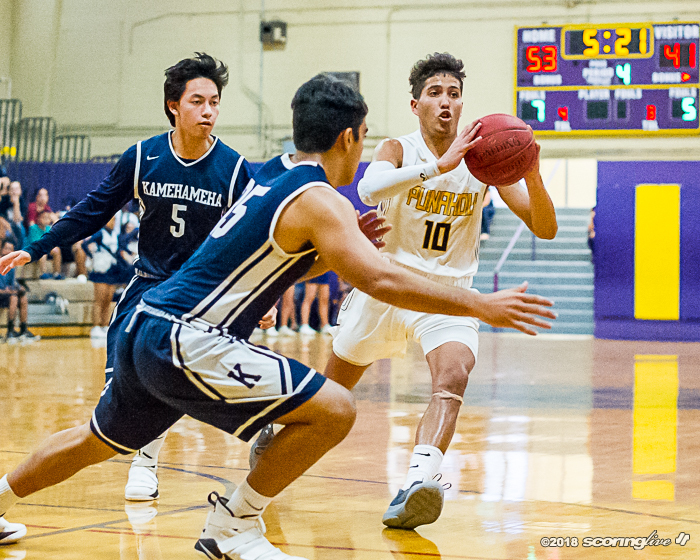 KALIHI — Second-ranked Punahou outscored fourth-ranked Kamehameha in each stanza to win, 72-50, in the Interscholastic League of Honolulu Division I postseason tournament semifinals at Damien's gymnasium. 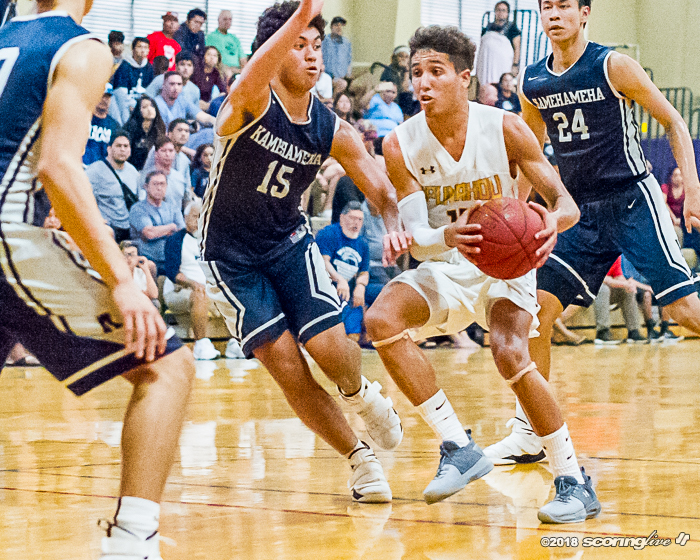 "Every team goes through adversity every year. 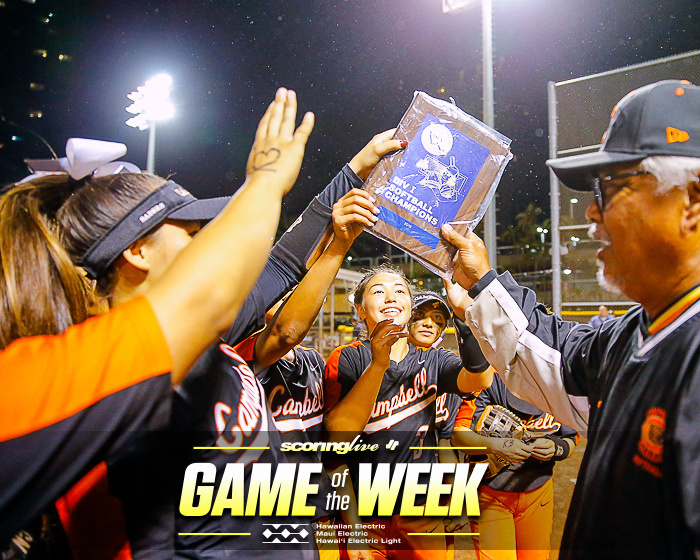 I think we hit it last week. 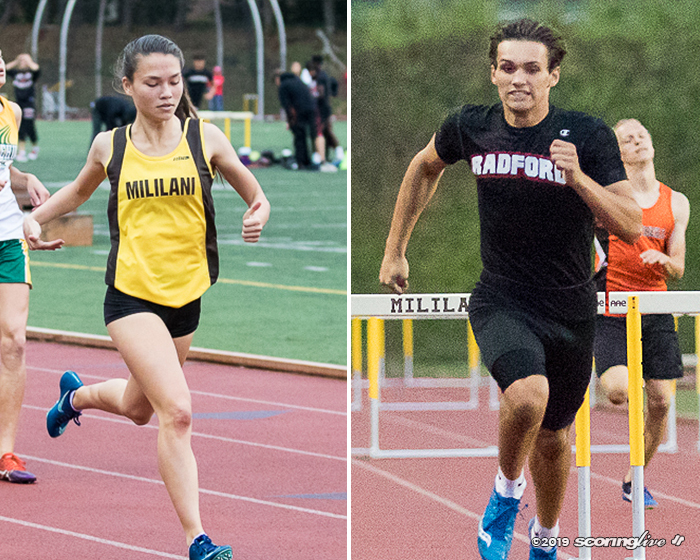 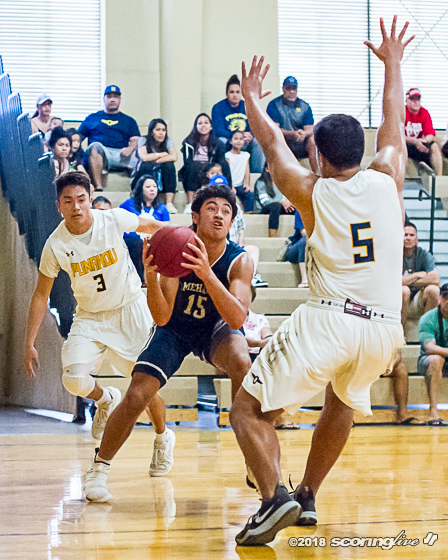 It was a tough week for us, but it was good because it made us refocus on what we need to do and what's important," said Punahou coach Darren Matsuda, on a loss last week to Iolani. 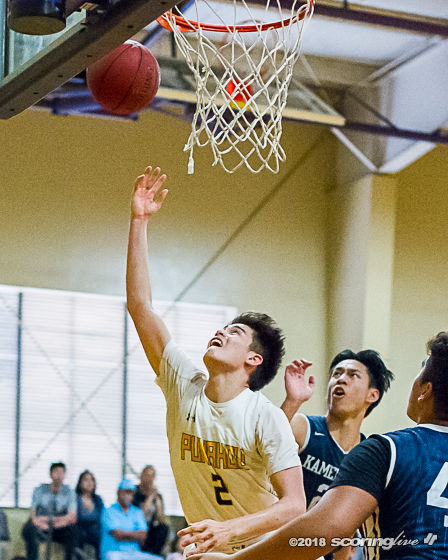 The Buffanblu (9-2 ILH) won the previous matchups on Jan. 9, 66-59 and Jan. 23, 71-54 and complete the season sweep on the Warriors, who end their season at 7-5. 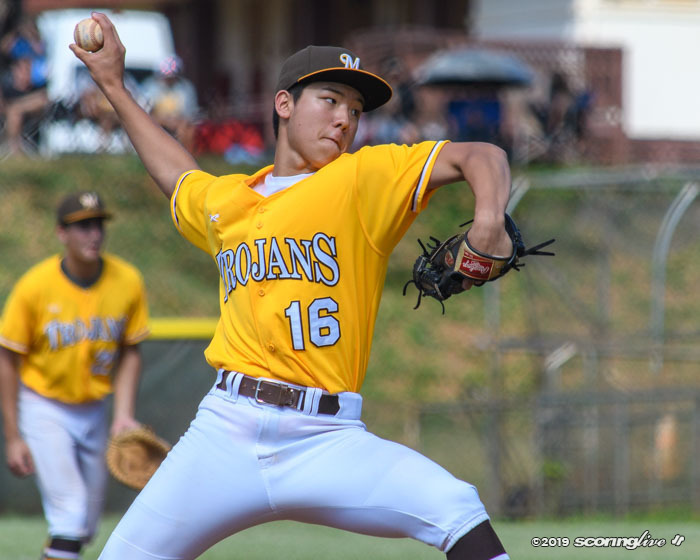 "It's tough," said Matsuda, on sweeping the Warriors. 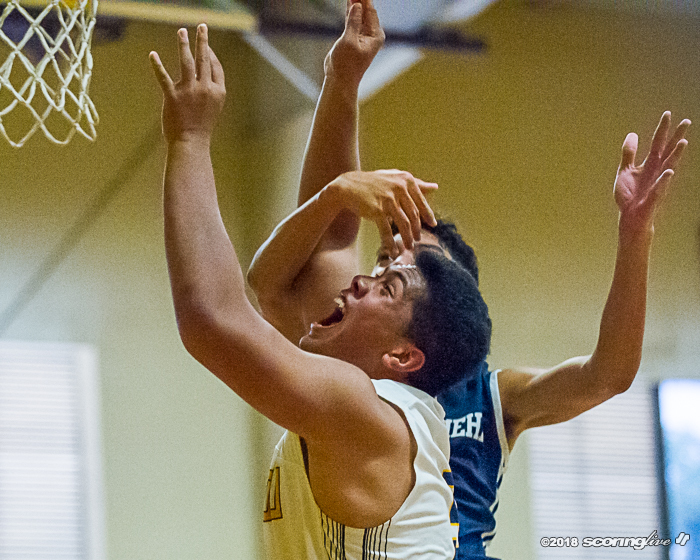 "Those guys played well. 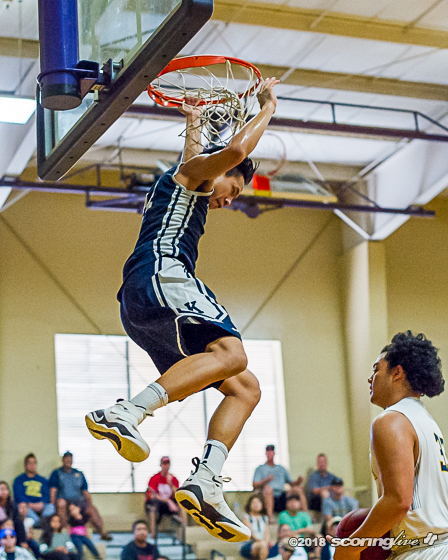 Kamren and Kobe are phenomenal players. 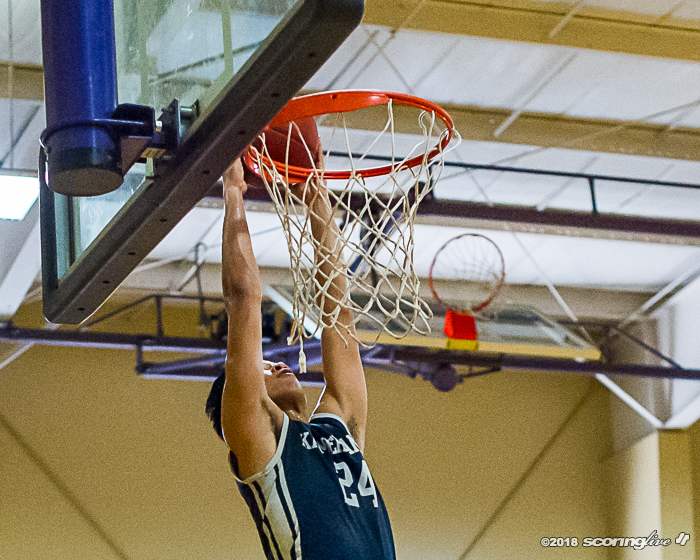 They had some opportunities, but we were able to hit big shots." 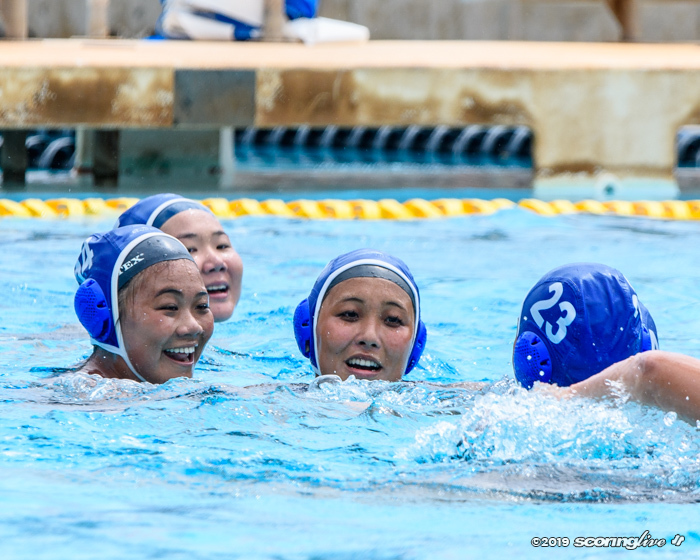 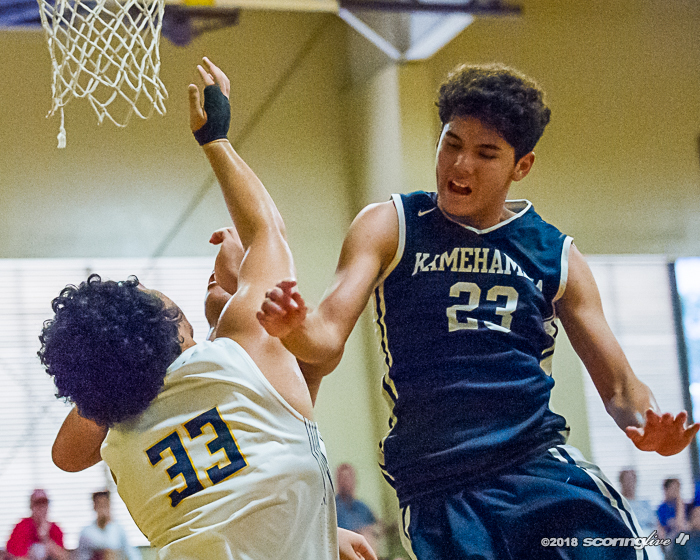 "We're a good team, but we played a better team today," said Kamehameha coach Greg Tacon. 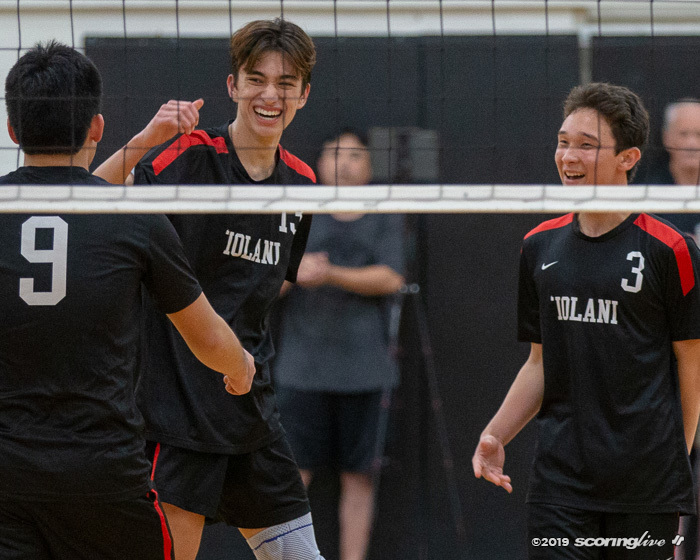 Maryknoll (10-1 ILH) dismantled Iolani (5-7 ILH) to advance to the ILH final to face the Buffanblu for the third time this season. 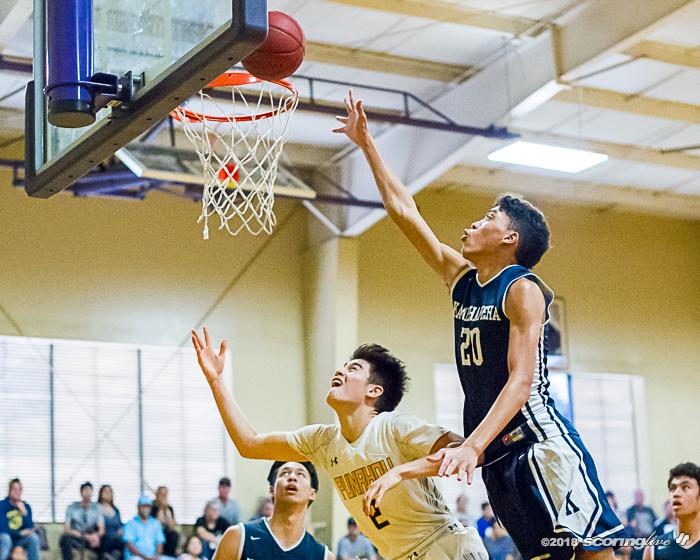 Each team split the season series winning at each others' gyms. 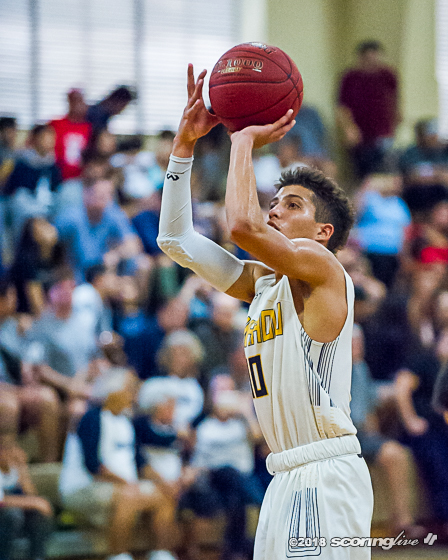 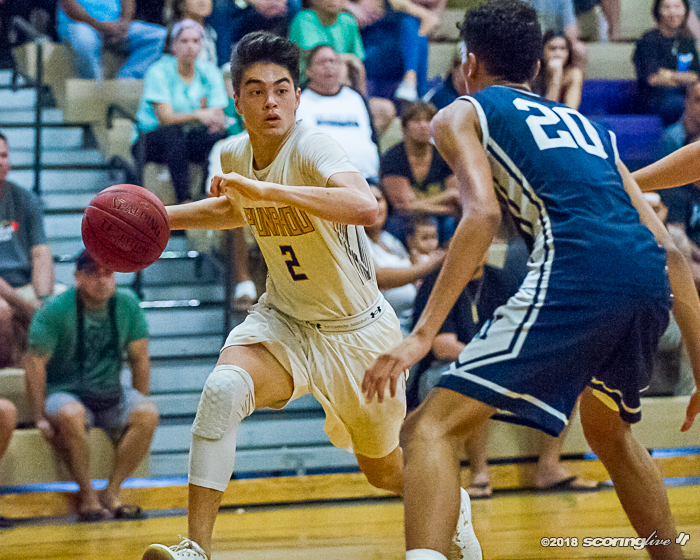 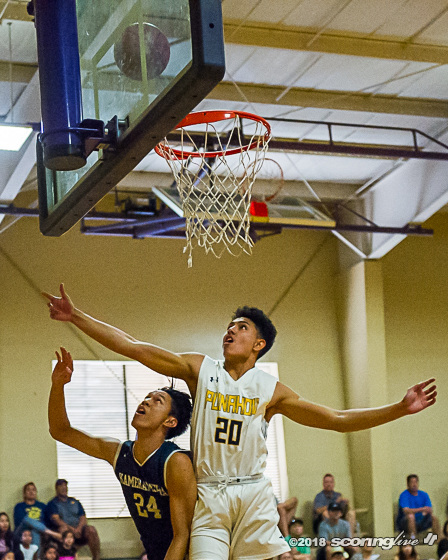 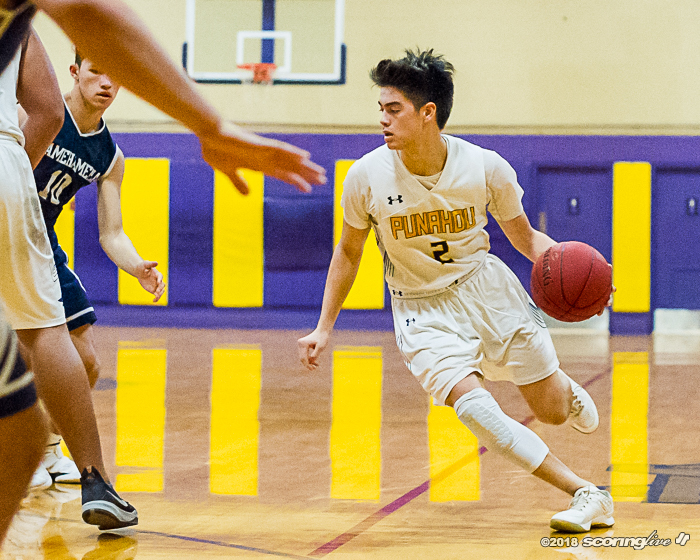 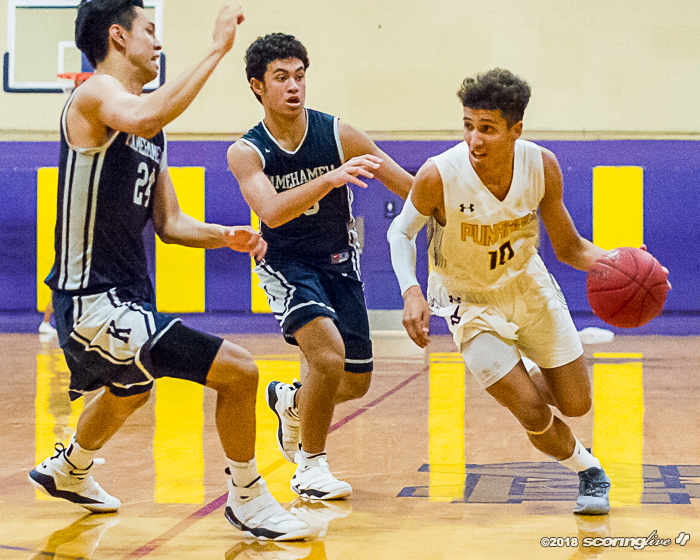 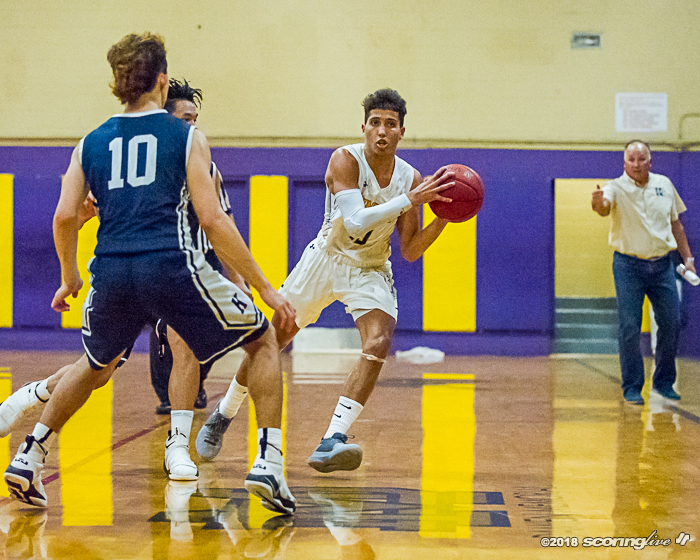 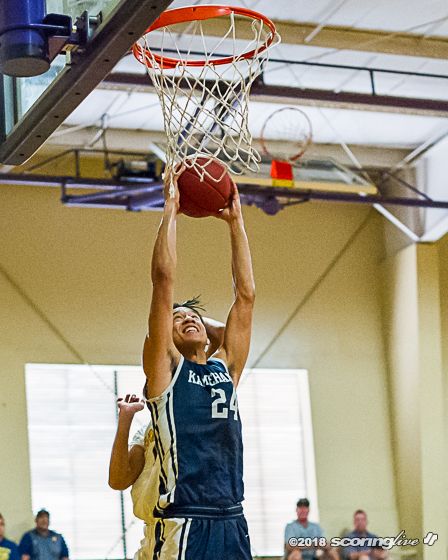 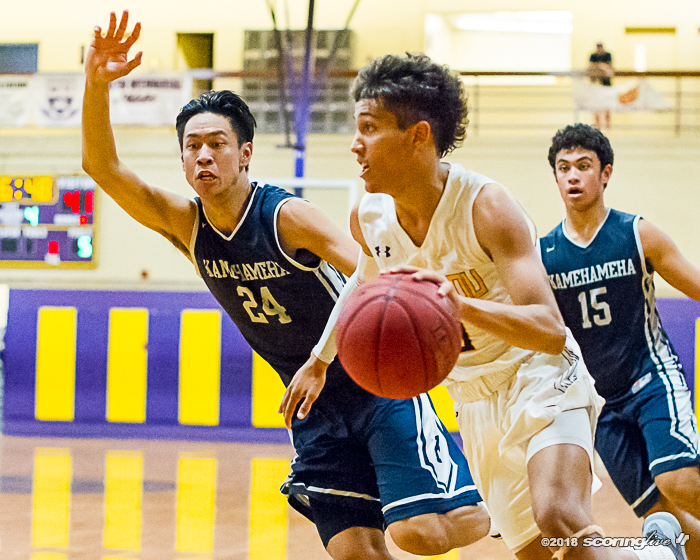 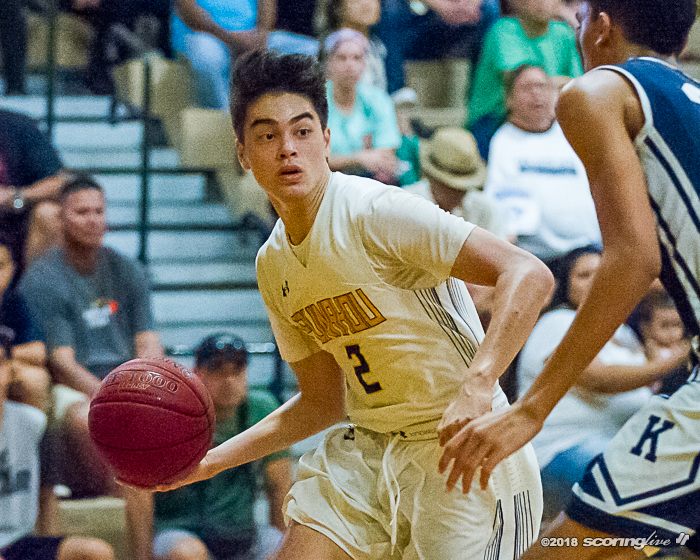 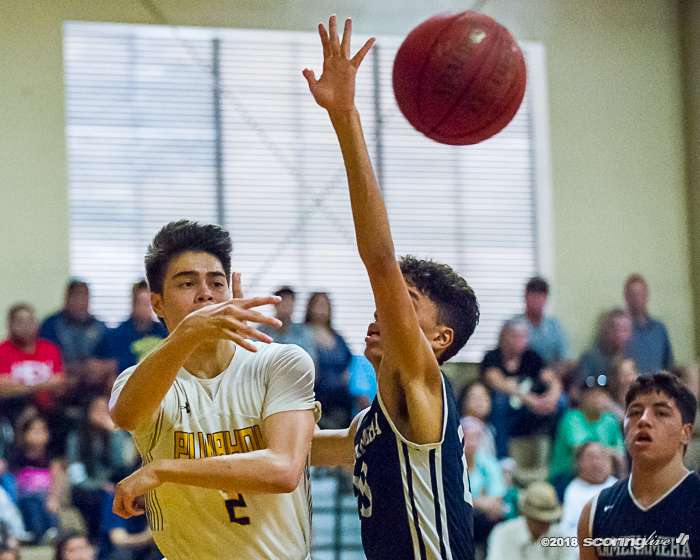 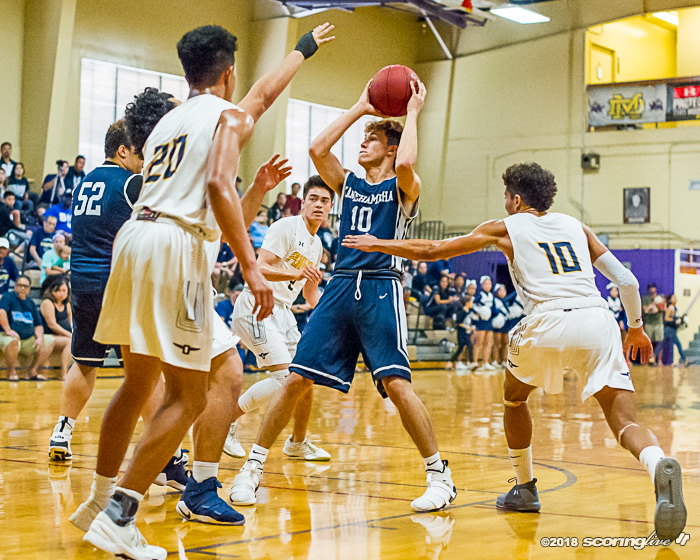 Three Punahou players scored in double figures: Zayne Chong led the Buffanblu with 19 points, five assists, Kaulana Makaula and Maninoa Tufono each added 10. 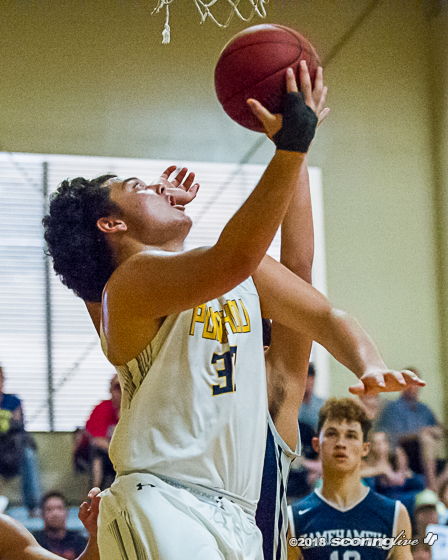 The drive and kick were ingredients for success for the Buffanblu offense. 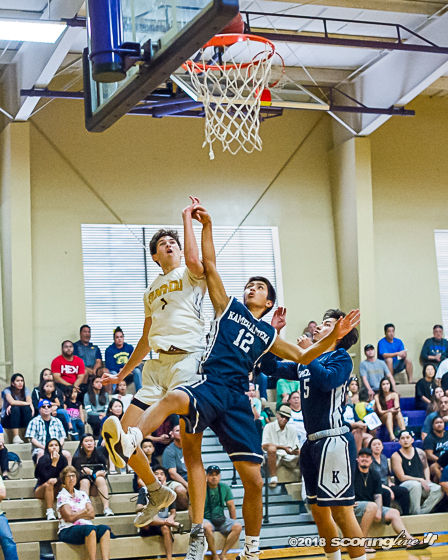 "That's part of our game, driving and kicking. 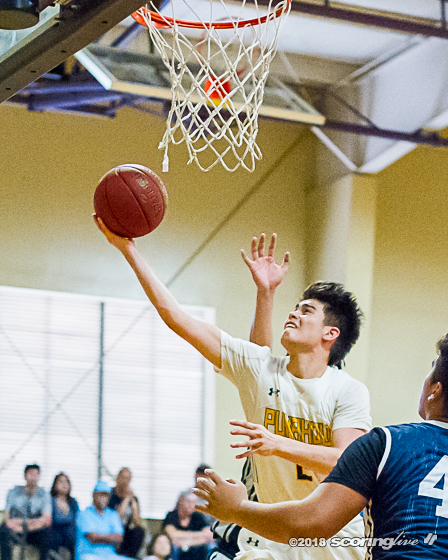 Zayne is savvy and quick guard and that's when we're playing our best, when we're being unselfish," said Matsuda. 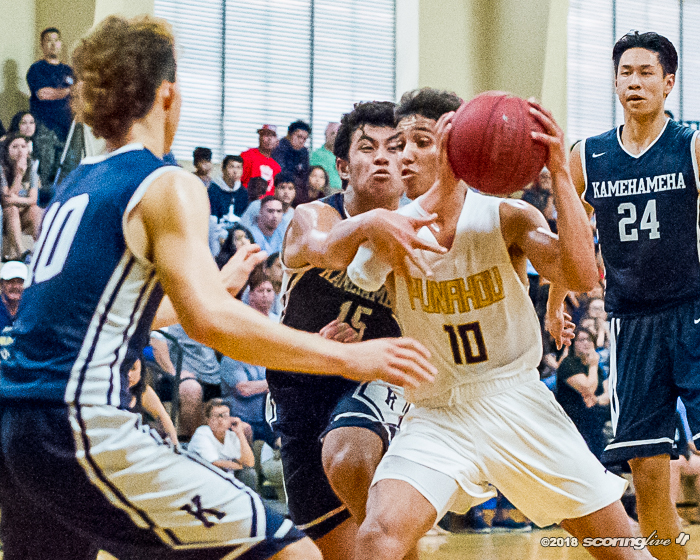 Punahou created separation toward the end of the first quarter, but Kamehameha got back in it with 3's from Mycah Pimental and Christmas Togiai. 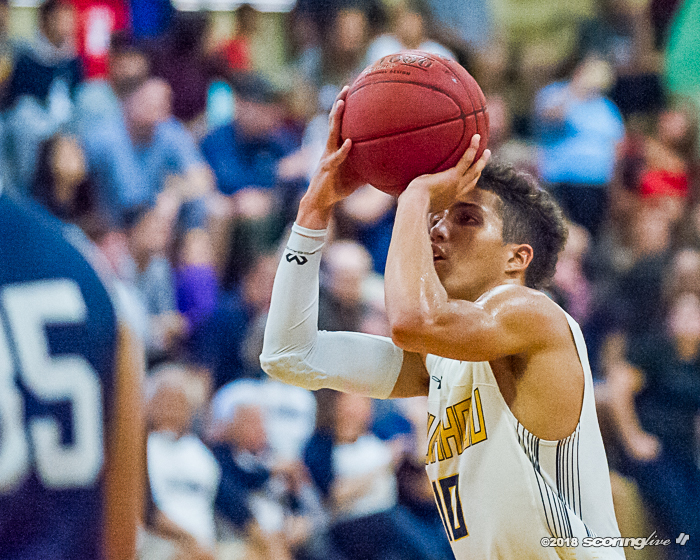 The Buffanblu shot 5 of 8 from the 3-point line in the first quarter and shot 8 of 14 (57.1 percent) overall. 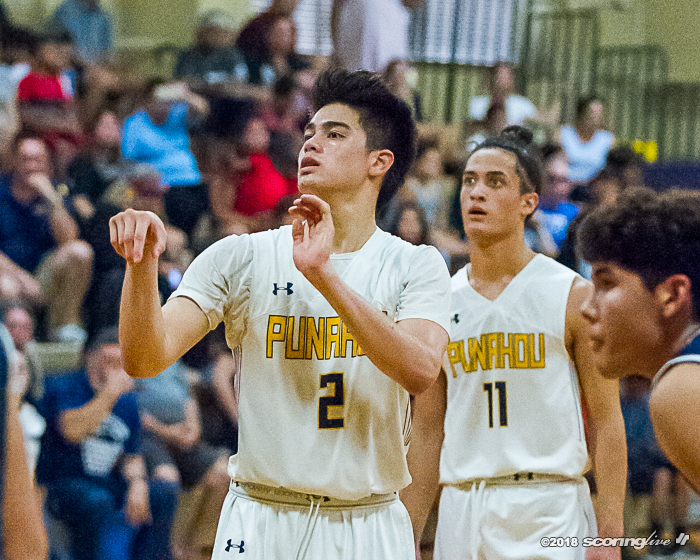 Punahou finished 25 of 42 (59.6 percent) from the field. 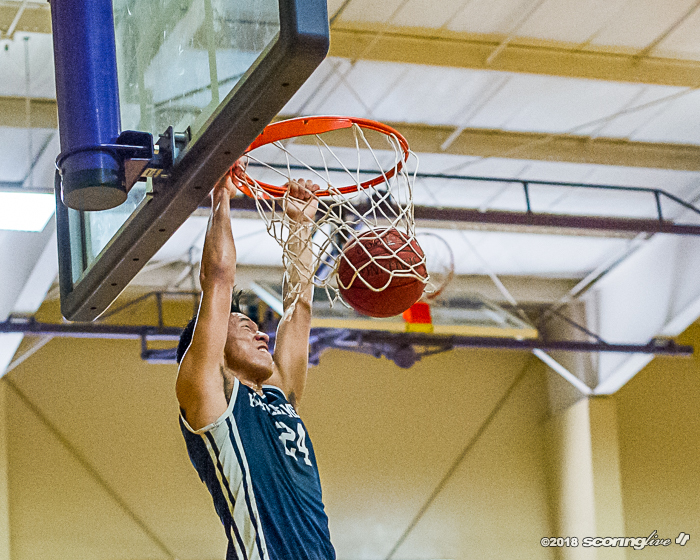 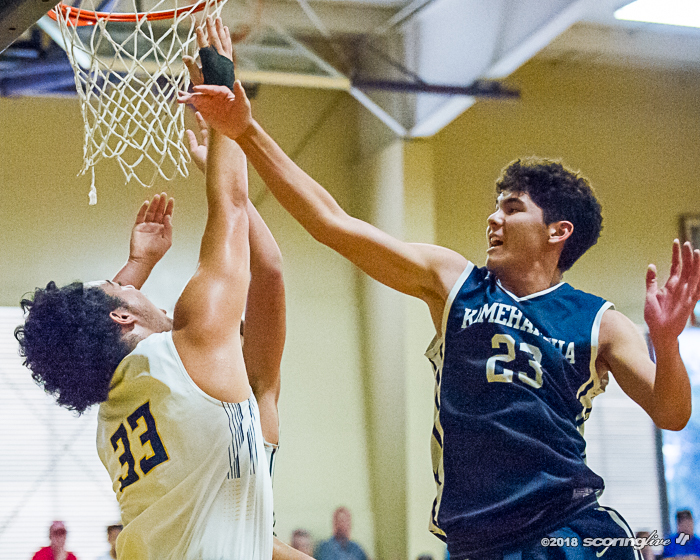 Tufono sank a 3-pointer near the top of the arc to finish a 7-0 run that forced a Kamehameha timeout at the 6:06 mark. 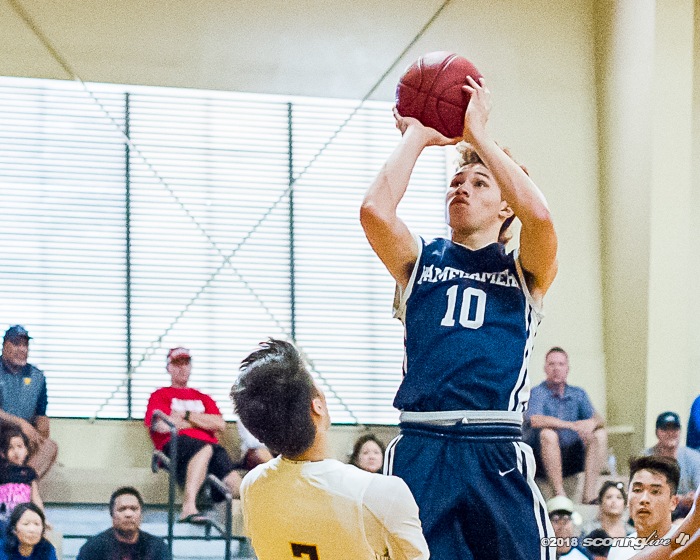 Cole Arceneux chased down a long rebound and made the fast break layup plus the foul. 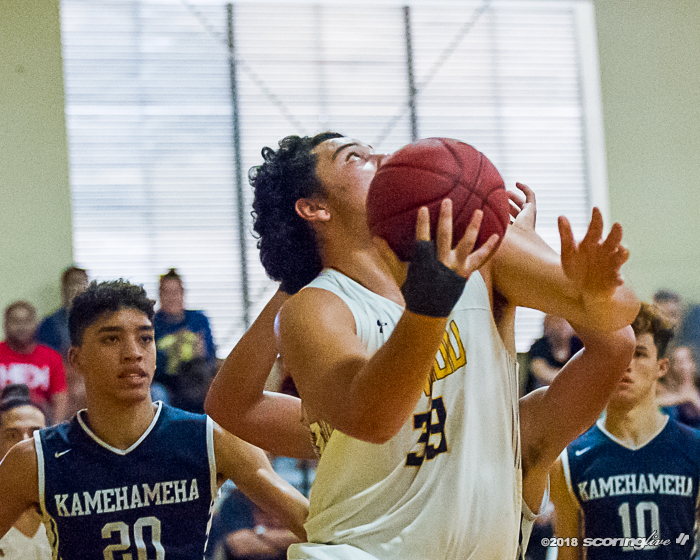 He could not finish the free throw, but Tamatoa Falatea converted it to give the Buffanblu their largest lead of the half, 30-18. 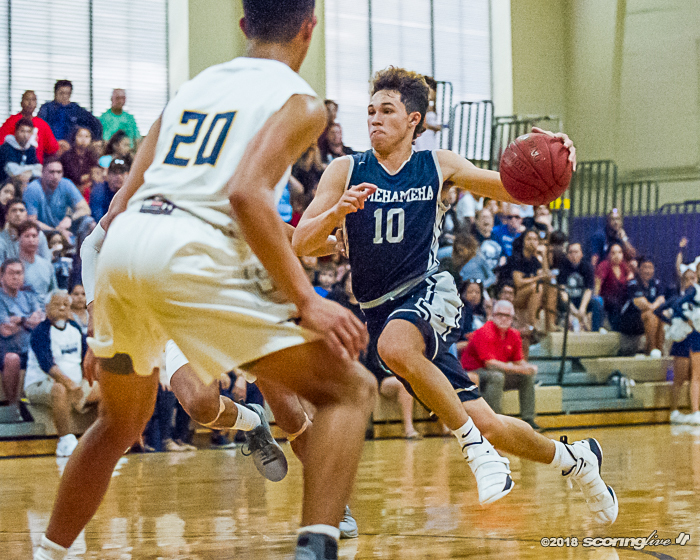 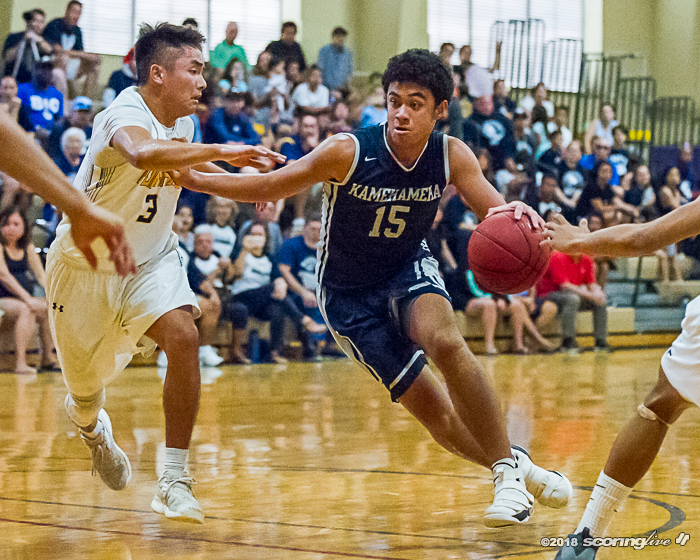 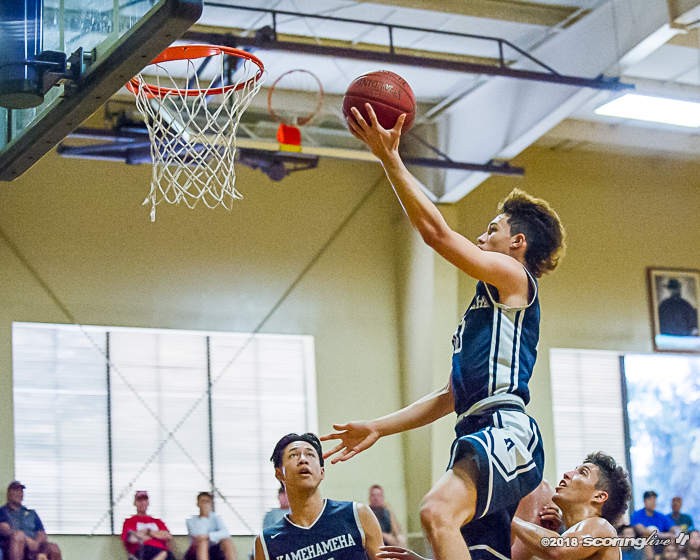 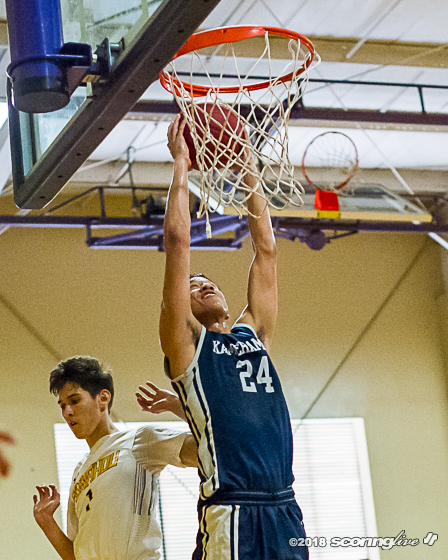 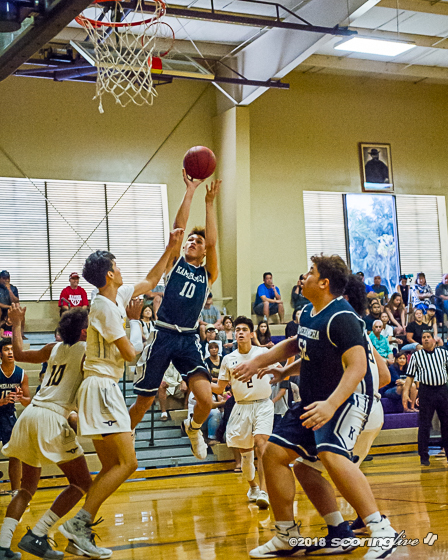 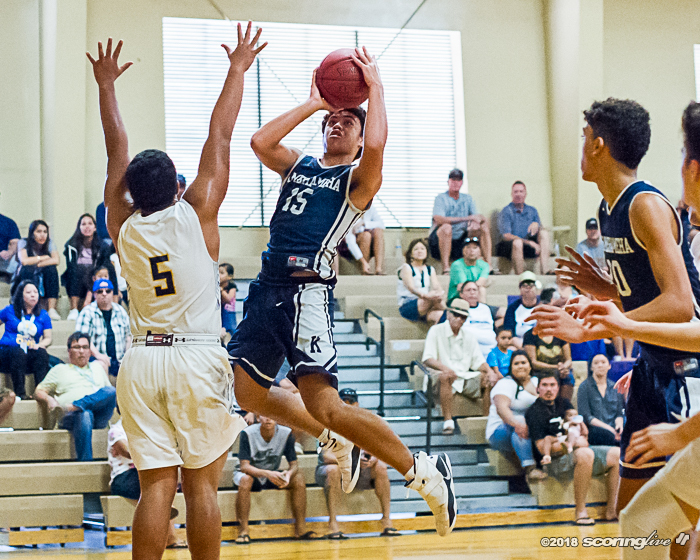 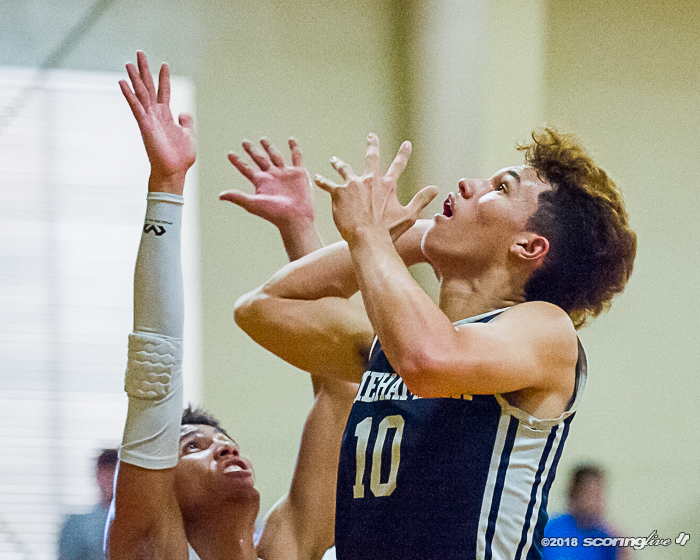 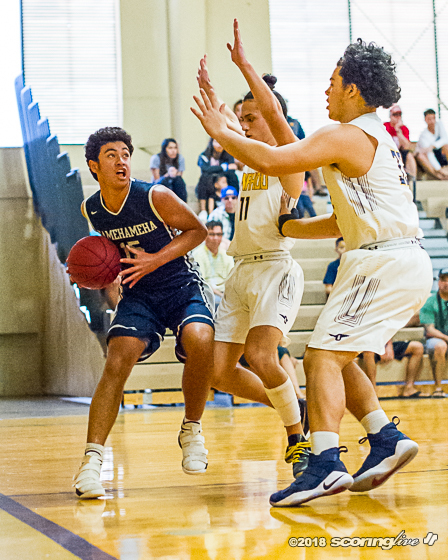 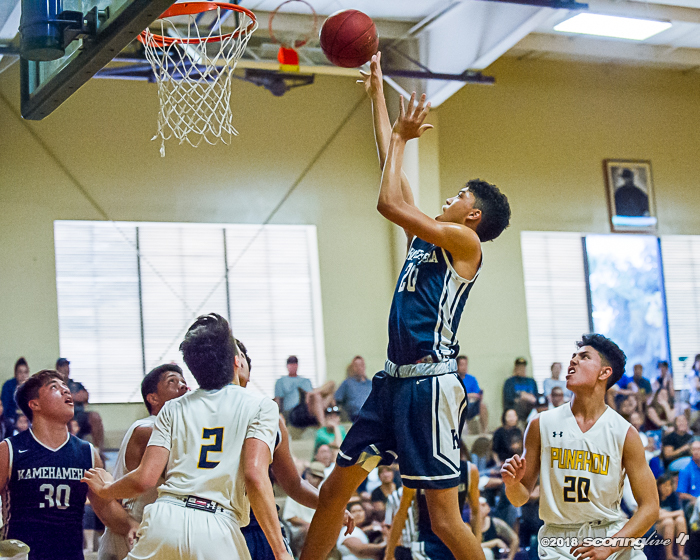 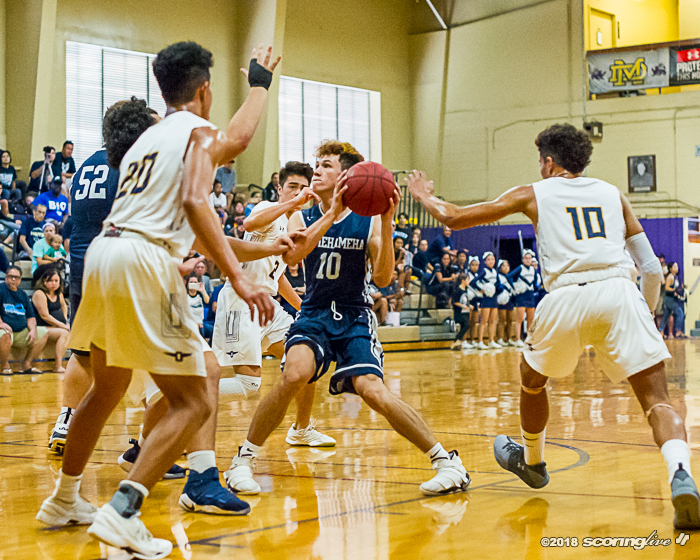 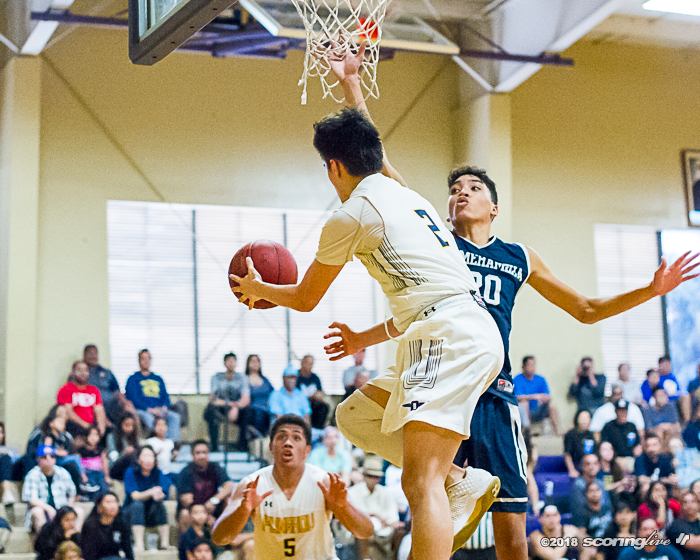 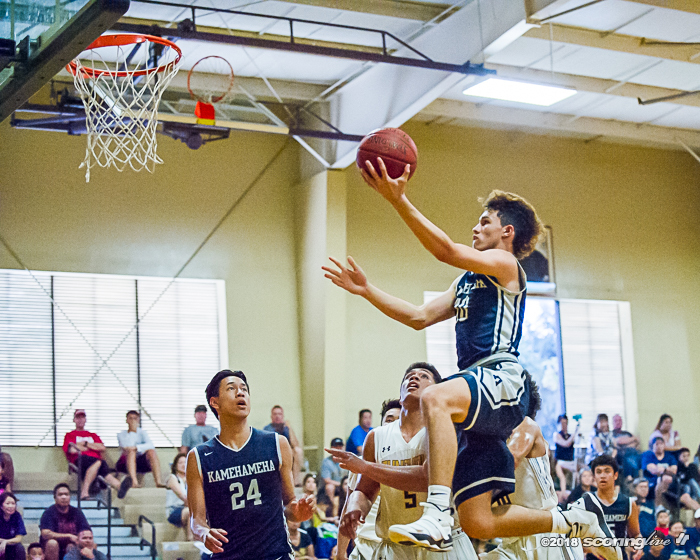 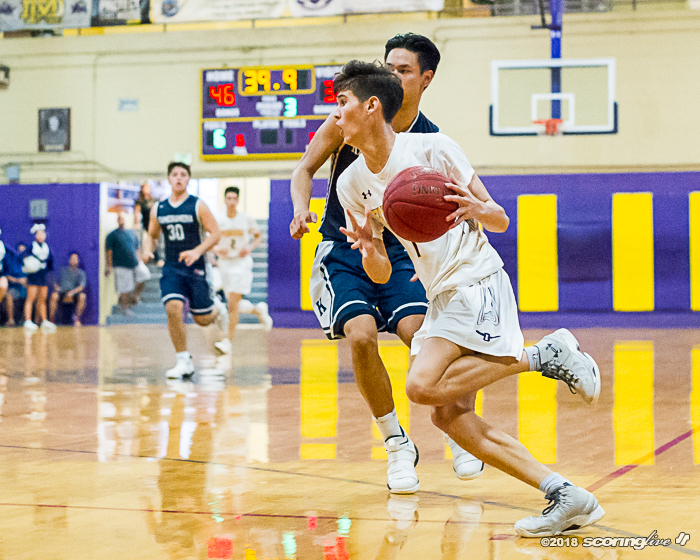 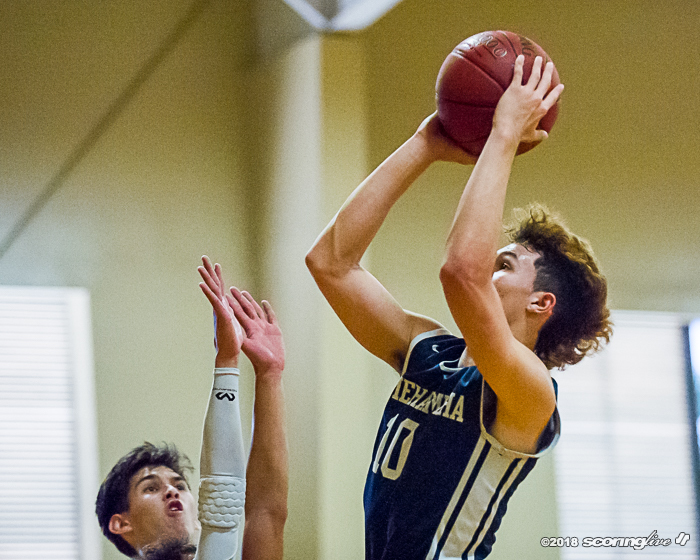 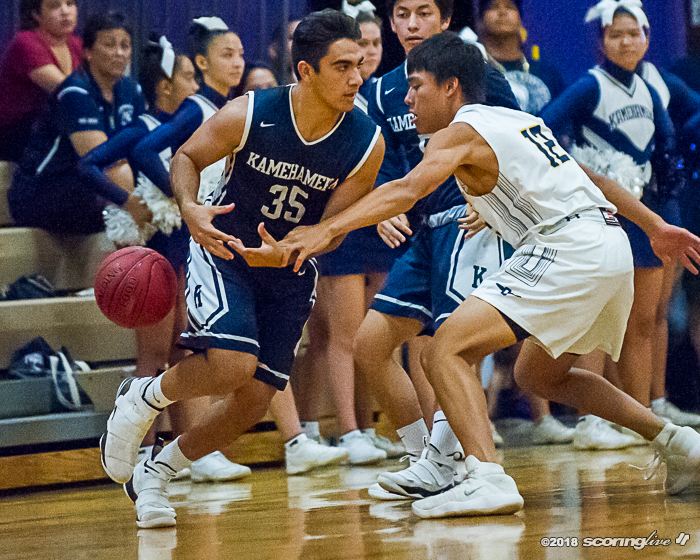 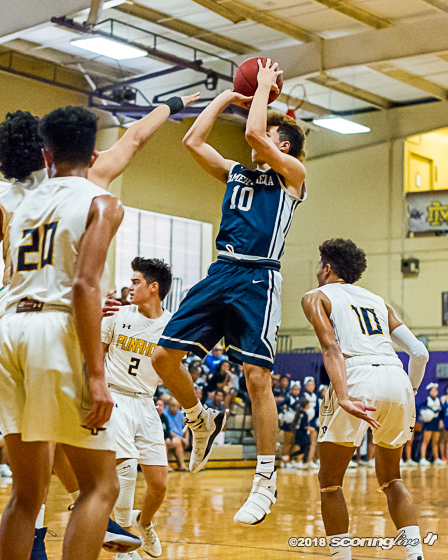 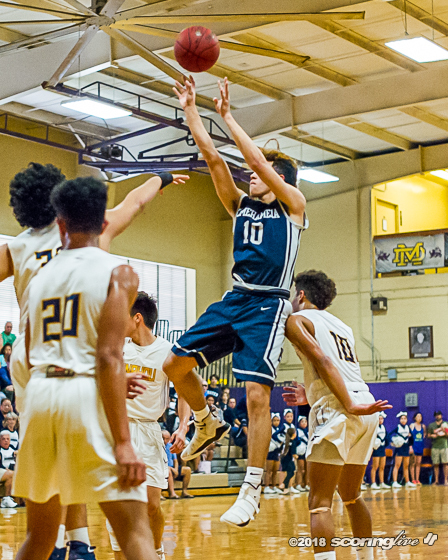 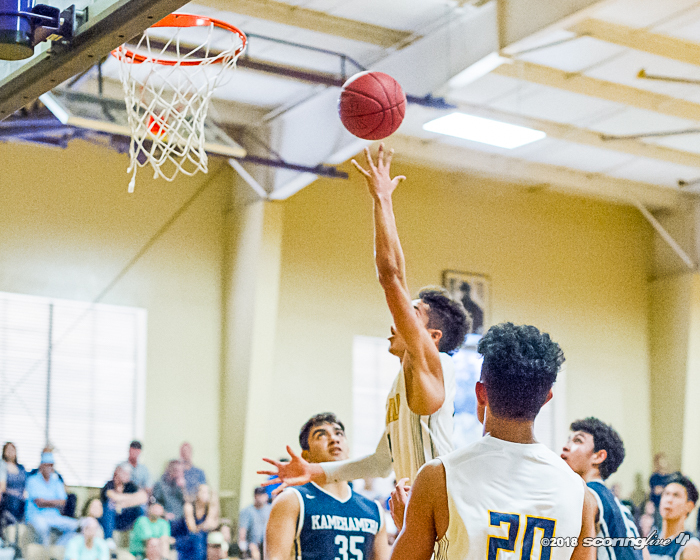 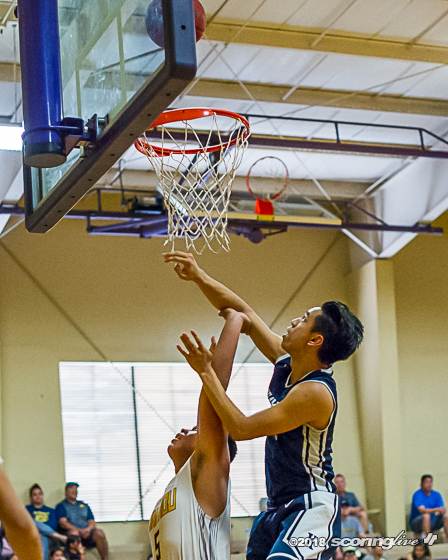 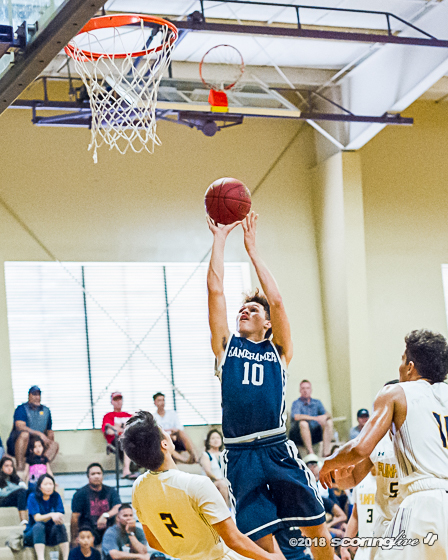 Kamehameha finished the final four minutes on a 8-3 run and Kamren Victorino-Kato was able to go coast-to-coast to beat the buzzer as the Warriors trailed, 33-26 at halftime. 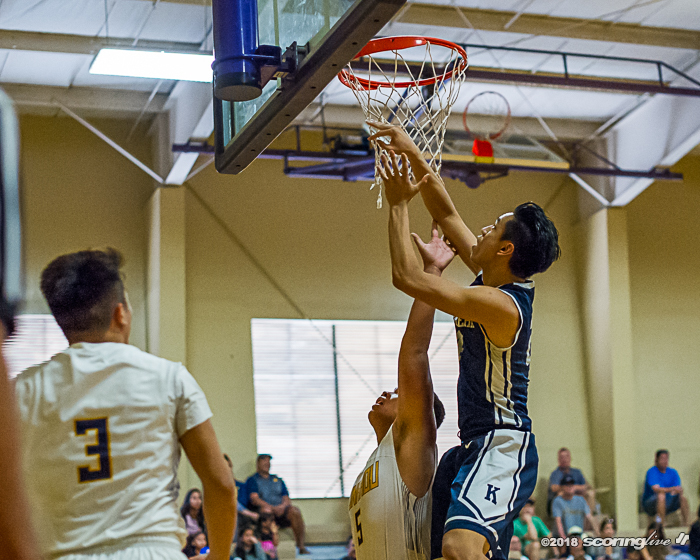 "Even though we stayed in it for a while, they shot the ball so well today. 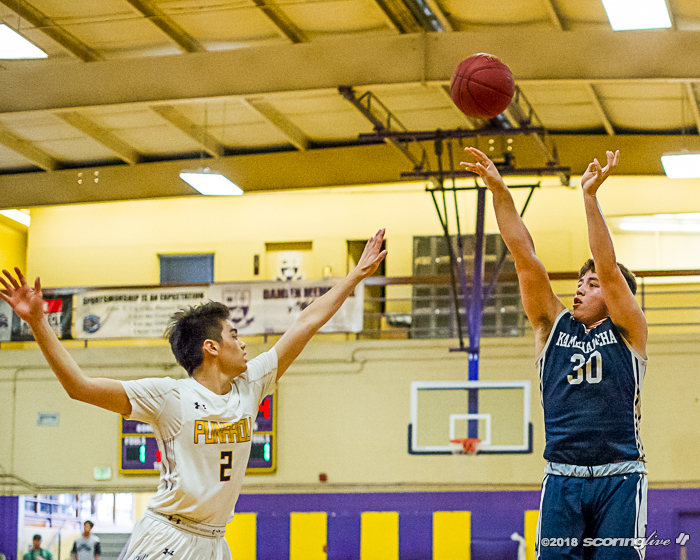 If you're not going to shoot it halfway decent, then there's no way to stay with them. 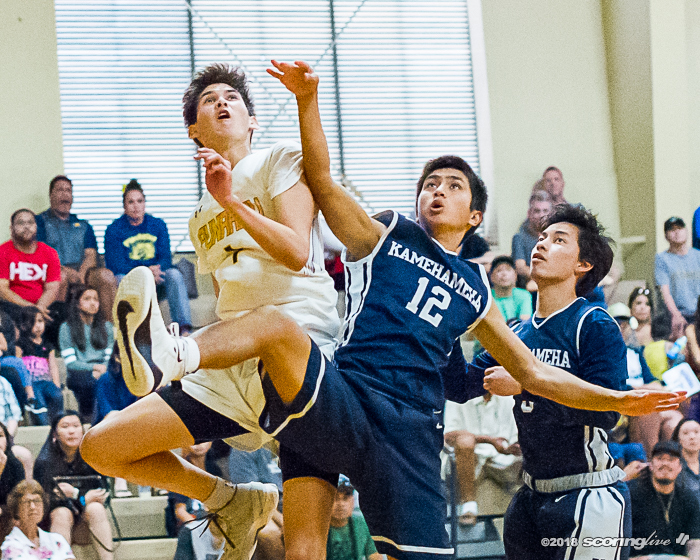 Today was what they're all about," said Tacon. 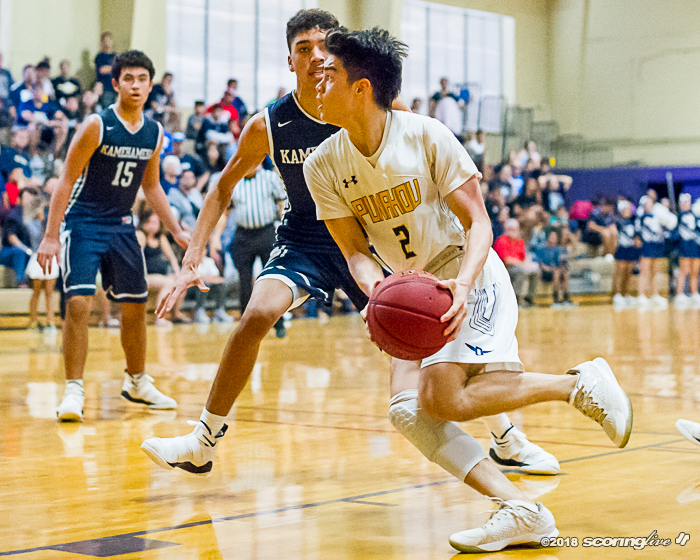 The Warriors were able to bring the game within five, 33-28, however Punahou extended it to 11, after Falatea's 3-pointer and the Buffanblu never relented a double-digit lead. 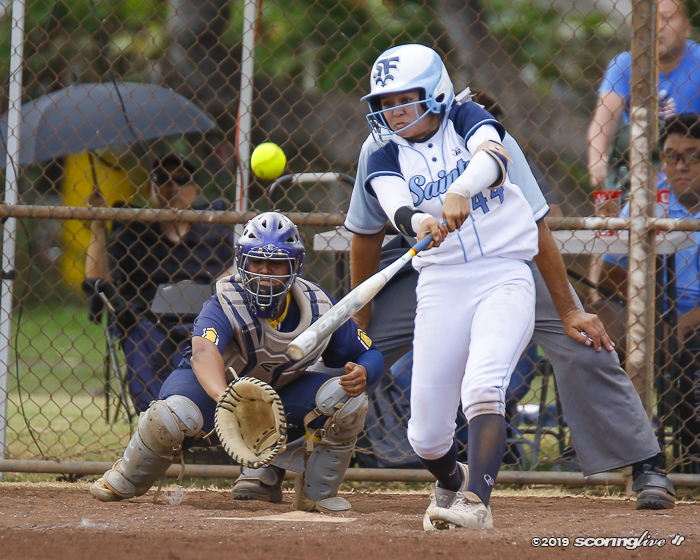 "If you catch them on day like this, look what happens," said Tacon. 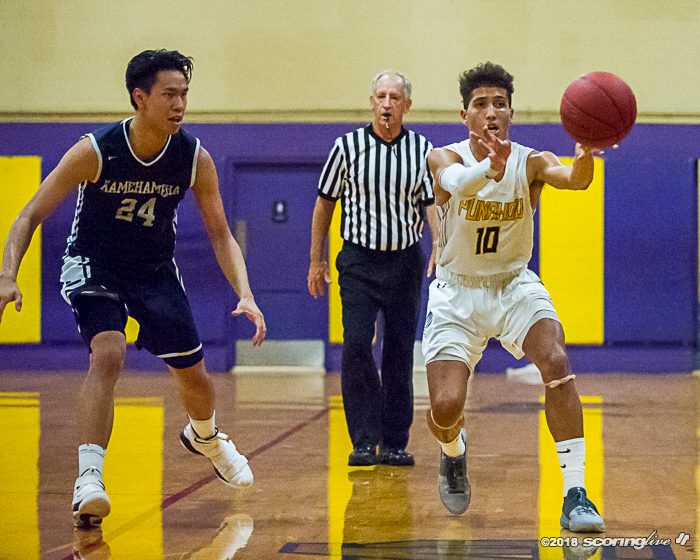 Kobe Young led the Warriors with 13 points, eight coming in the first quarter. 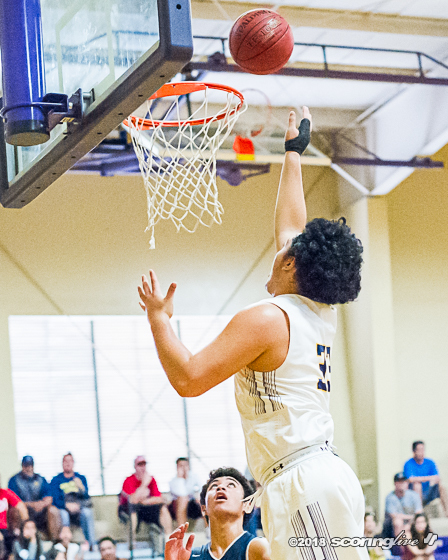 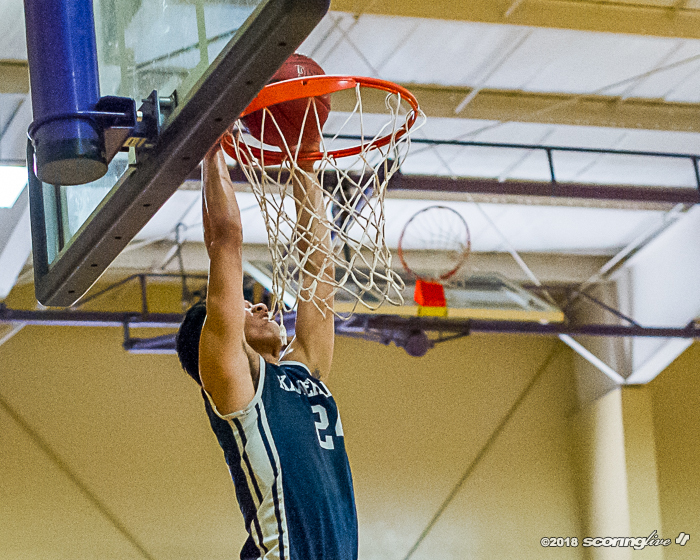 Kamren Victorino-Kato added 10 and Togiai and Kawaiaea with eight each. 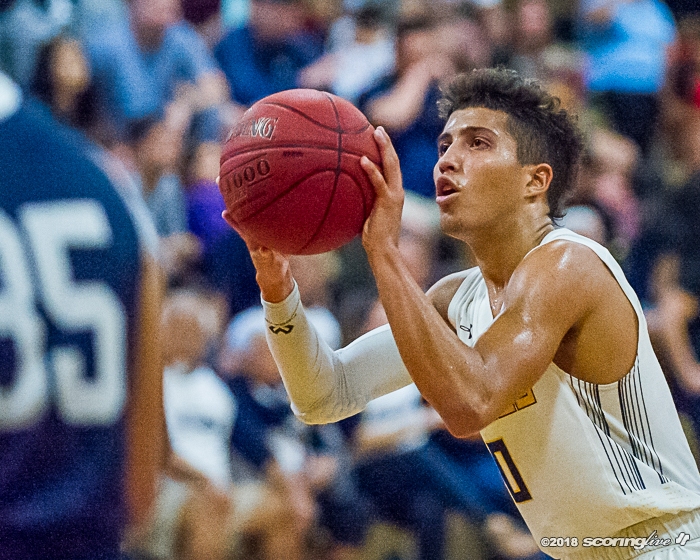 "This was a terrific senior class. 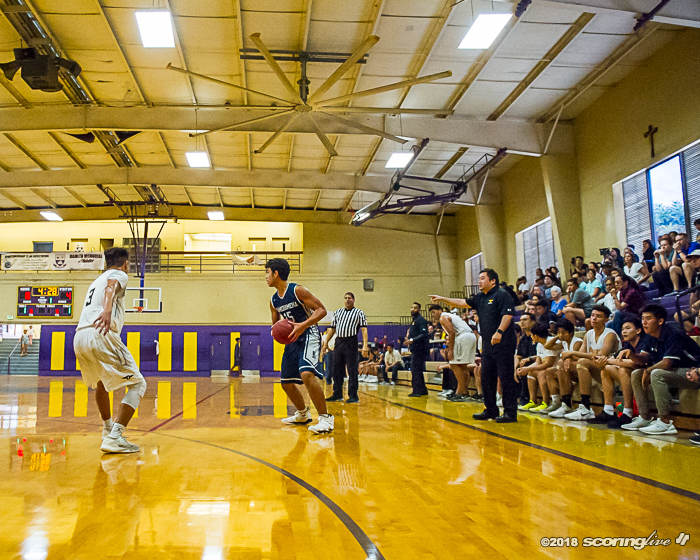 We stayed together despite all the things that came our way. 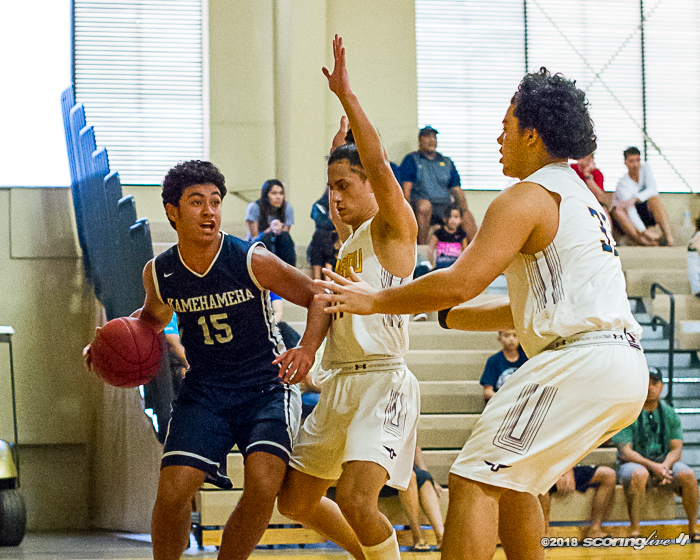 Everyone was positive," said Tacon, on the senior class.